This hotel in Portsmouth, New Hampshire is 3 miles from Water Country Water Park. It features an indoor pool and rooms with free WiFi. 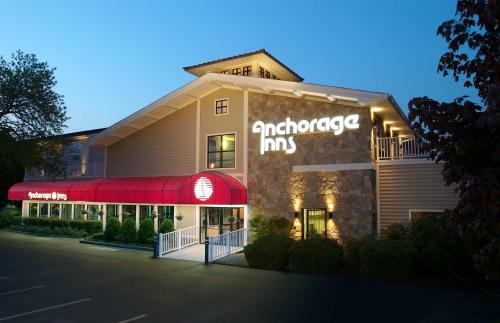 Every room at the Anchorage Inn and Suites is furnished with a microwave and a refrigerator. Join us in the heart of the New Hampshire Seacoast and New England at one of our two, unique, Anchorage Inn family of properties. Enjoy historic Portsmouthâ€™s boutiques, culture and dining as well as the coastline's inlets and many beaches, or venture inland to the Lakes Region and White Mountains.